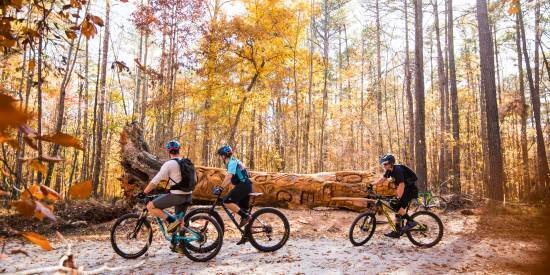 30 Can&apos;t-Miss Things to Do in Raleigh, N.C.
Raleigh, N.C., is a booming metropolis that offers a big city feel with Southern charm. 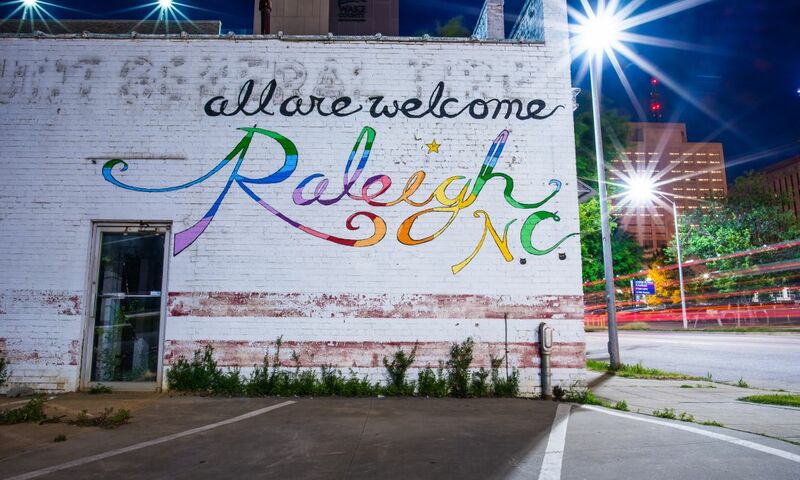 It&apos;s a smart, modern-meets-historic destination that has a lot to offer and no matter what path you choose on your visit, we know you&apos;ll be energized by the fired-up cultural heartbeat fostered by passionate minds of Raleigh. Here are 30 things (in no particular order) you shouldn&apos;t miss, the results of people who had a passion for creating something special, something brilliant to be experienced. 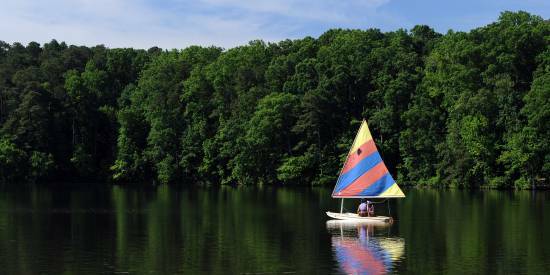 N.C.&apos;s most popular attraction is a museum that teaches visitors about the natural world. 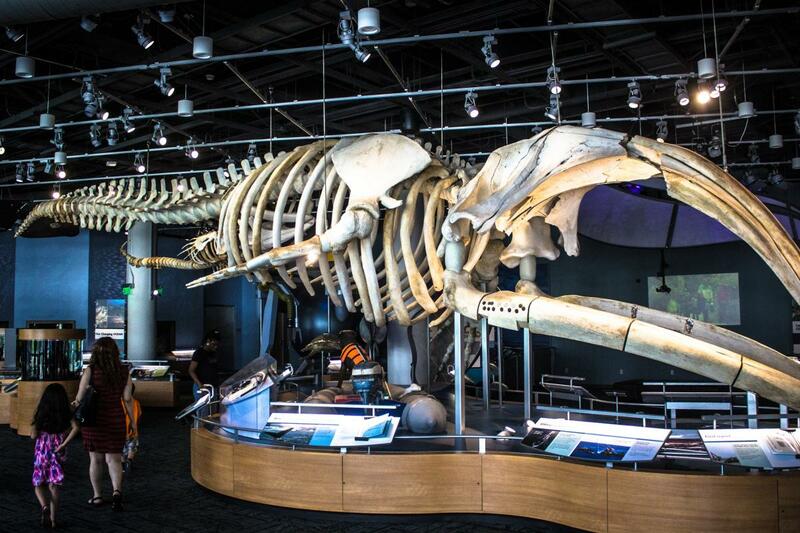 The free museum offers more than 25 permanent exhibitions, including looks at N.C.&apos;s Mountain, Piedmont and Coastal Plain region habitats and wildlife along with discoveries found in the sea and underground. 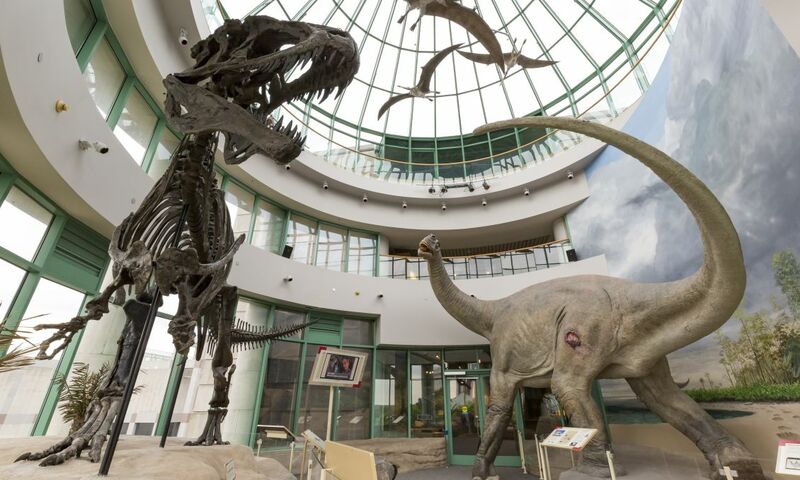 Take the path down the skywalk and check out the Nature Research Center, a wing of the museum where you can watch research scientists and get inspired by the field of study. The first public park in N.C. still stands strong and hosts thousands of visitors throughout the year. The Gustave A. Dentzel Carousel was originally put in place in 1911 and is now listed on the National Register of Historic Places. Other amusement rides in the park include kiddie water boats, a miniature train and pedal boats. Take a photo next to the famous TVLand "Andy & Opie" statue. One of the premier visual arts museums of the South features an outdoor park with works of art, trails and a live music venue/theater. It also hosts two buildings filled with galleries, education studios and special exhibitions. Permanent collections include ancient Egyptian artifacts, renowned European Old Master paintings, African and Judaic works of art and innovative contemporary art. In the West Building you&apos;ll find the Southeast&apos;s largest collection of sculpture by Auguste Rodin, the museum store and Iris, the museum restaurant. Make a trip with your little ones (kids ages 10 and under) to Raleigh to experience Marbles, led by one of Raleigh&apos;s passionate minds, Sally Edwards. Delivering purposeful play in a big way, the museum offers themed exhibits designed to build imagination through self-led exploration of new ideas and experiences. From the world&apos;s first and only kid-driven smart power grid to hands-on STEM learning stations, Marbles educates and inspires children. Take in a movie at the Marbles IMAX, boasting N.C.&apos;s only 3D-capable giant screen-teens and adults can also take in blockbuster hits there! Visit the place that preserves local, state and regional history for future generations and visitors to see. One of the more popular permanent exhibits, The Story of North Carolina, traces life in N.C. from its earliest inhabitants through the 20th century. 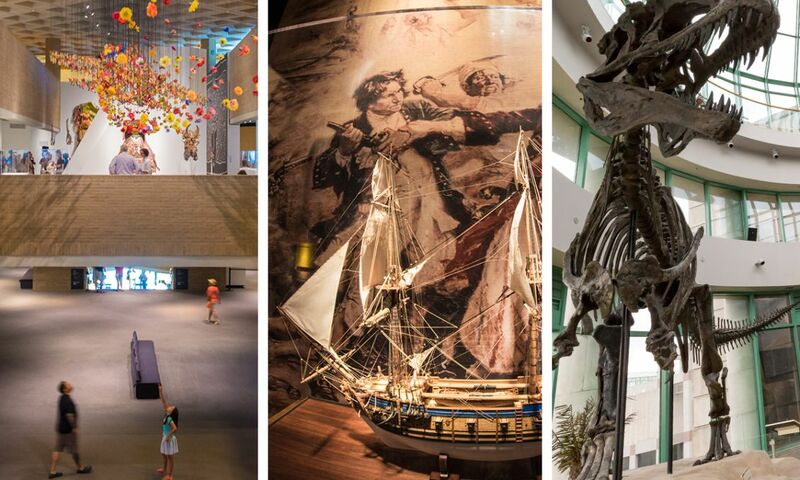 You can see stone tools dating from 12,000 to 1,000 BCE, a real cannon that was recovered from Blackbeard&apos;s flagship, a full-size replica of the 1903 Wright Flyer airplane, a lunch counter that played a pivotal role during the Civil Rights Movement and much more. 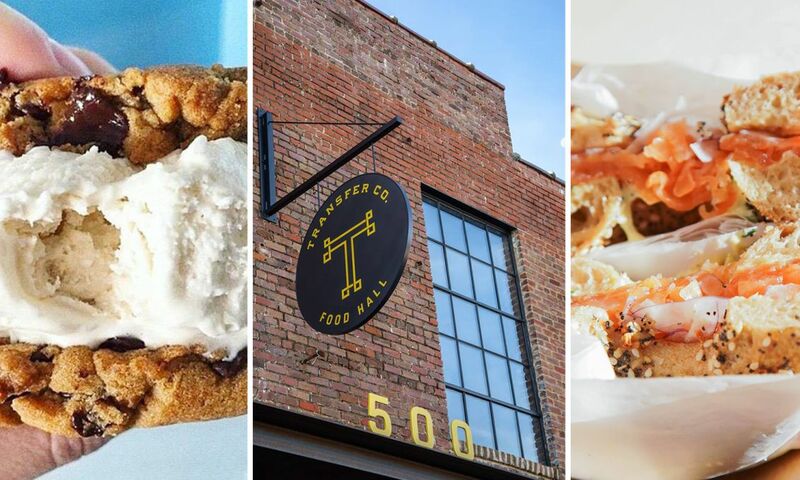 Raleigh has quickly become a scene for foodies and has been called one of the "Top 10 Tastiest Towns in the South" by Southern Living. One of the favorites, Bida Manda, was recently named "Best Restaurant in N.C." by Business Insider and celebrates the diverse food traditions and culture of Laos. Passionate mind Ashley Christensen has opened several restaurants after winning the "Best Chef of the Southeast" in 2014 by the James Beard Foundation. This internationally-recognized and stunning garden displays more than 6,000 different types of plants from around the world. 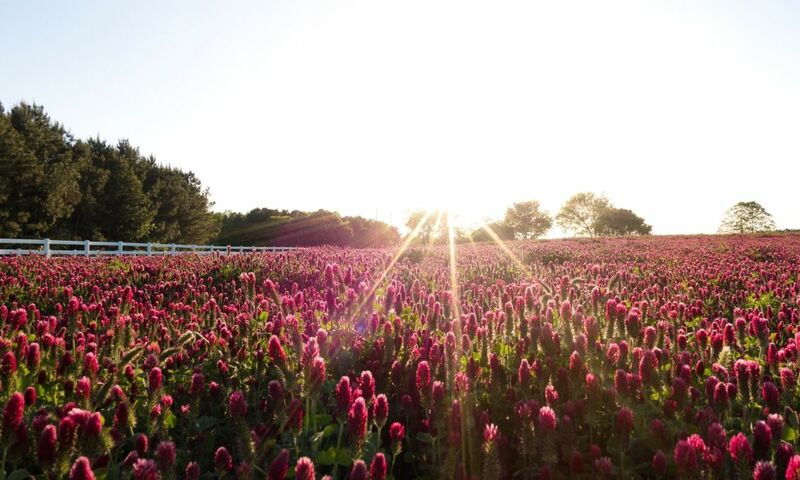 It&apos;s one of the largest and most diverse collections of landscape plants in the Southeast. Free public tours are available every Sun. at 2pm, Mar.-Oct., where you can get an in-depth view of the many distinct gardens, including the rooftop terrace, butterfly garden, rose garden and more. The 19,700-seat venue hosts an impressive array of major sports, concert tours and events each year. 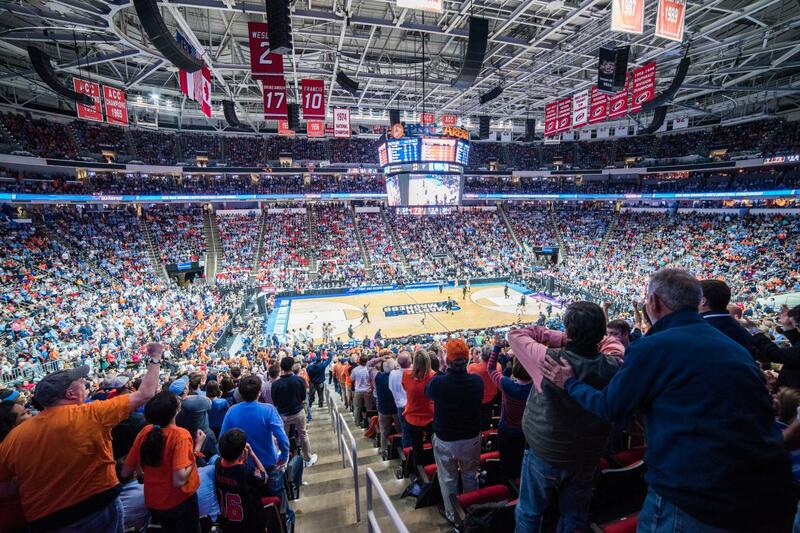 On an annual basis, PNC Arena welcomes more than 1.5 million guests and plays host to more than 150 events including major concert tours and family shows. The state-of-the-art indoor climbing and fitness center, led by passionate mind Joel Graybeal and his Raleigh-smart team, features both lead and top-rope climbing, expansive bouldering terrain and a comprehensive fitness area. The Morrisville facility has the largest and tallest climbing structures in the nearest five states and includes 100 climbing lanes and walls spanning to 55 feet. Also, get information on the North Raleigh location here. 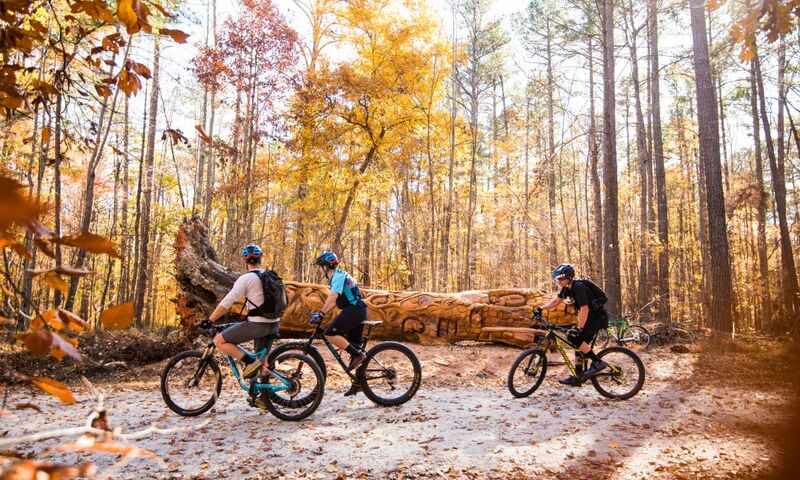 Outdoor lovers can use 22 miles of hiking trails, 13 miles of bridle or mountain bike trails, camp, fish and paddle all within the nearly 6,000-acre urban recreational area. The park is located only 15 minutes outside of downtown Raleigh and is also a habitat for beavers, raccoons, deer and unique bird species, such as the great blue heron. 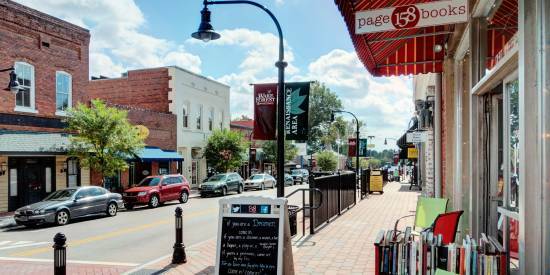 There are 11 charming towns just minutes away from Raleigh: Apex, Cary, Fuquay-Varina, Garner, Holly Springs, Knightdale, Morrisville, Rolesville, Wake Forest, Wendell and Zebulon. Spend the day in the historic downtown areas, walk along the tree-lined streets, play a round of golf or visit a locally-owned, one-of-a-kind boutique. 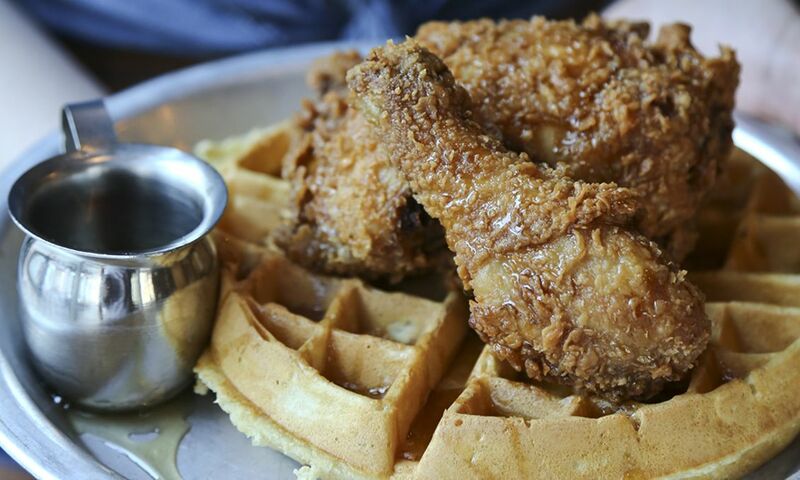 From Apex to Zebulon, you&apos;ll find the Southern hospitality that N.C. is known for. 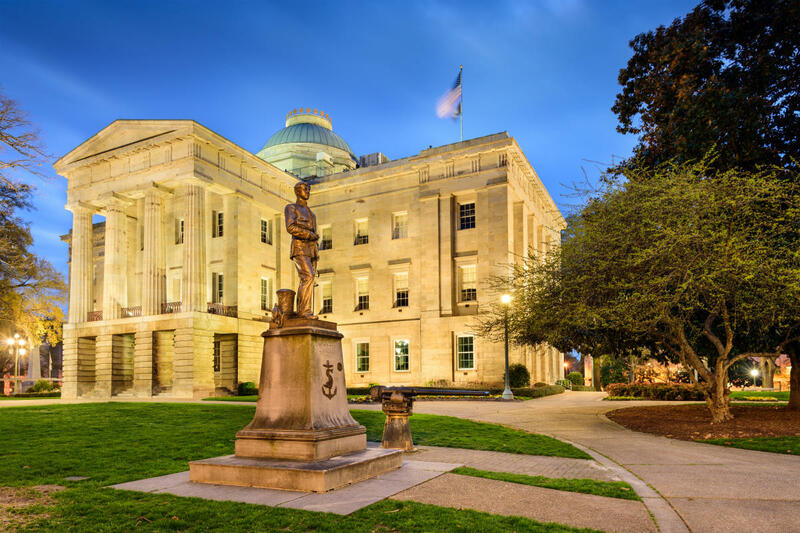 One of downtown Raleigh&apos;s National Historic Landmarks is the civic building with Greek Revival-style architecture, built in 1840. 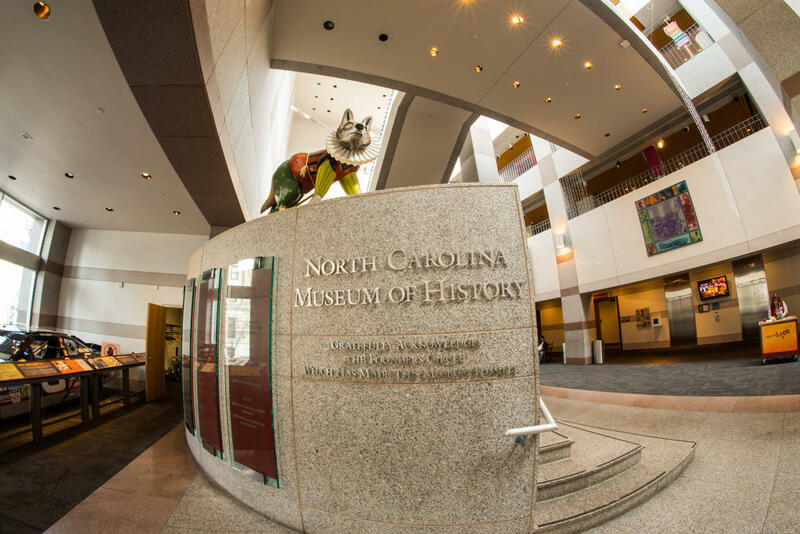 Access the building for no charge to see the statues, plaques and busts that honor important people and significant events in N.C.&apos;s history. The exterior of the building portrays fourteen bronze monuments, including the famous Presidents North Carolina Gave the Nation statue, honoring the three presidents who were born in N.C.
A day at Historic Yates Mill County Park offers an "Escape from the Daily Grind," with experiences that interpret and preserve N.C.&apos;s agricultural heritage, environmental resources and history through educational programs, events and exhibits. See the county&apos;s last remaining gristmill, which is fully restored and operable. N.C.&apos;s largest university is known for science, technology, engineering and mathematics. North Carolina State University is a research university contributing to the state with outreach activities and economic impact in every county. Visitors should stop by Centennial Campus, Gregg Museum of Art & Design, James B. Hunt Jr. Library, The Brickyard or the Memorial Bell Tower. One of the oldest continuously-operating community theatres in the country, Raleigh Little Theatre opened in 1936 and offers entertainment, education and community programs year-round. With more than 150 performances each year, no other theatre in N.C. produces as many shows. The grounds also include an outdoor amphitheater and a rose garden featuring more than 1,200 roses. 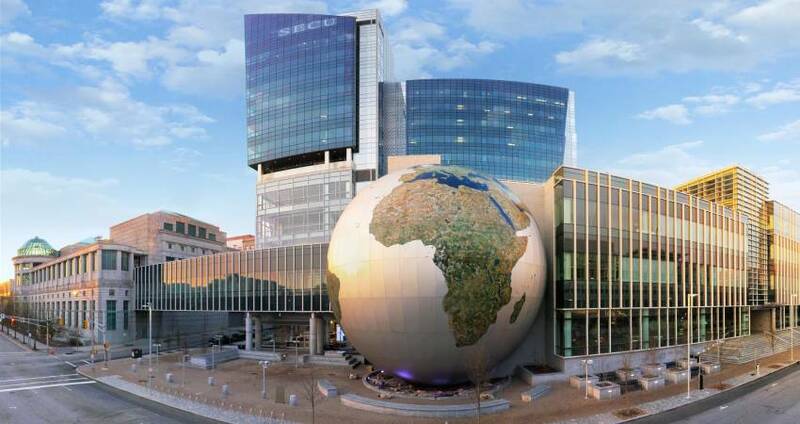 This cultural center in Raleigh consists of four performance venues that host Broadway shows, theatrical performances, musicians, North Carolina Opera, North Carolina Symphony and Carolina Ballet. The building was built in 1932 and the theaters have received extensive renovations in the past few years. 25+ local breweries have popped up between Wake Forest, Raleigh, Holly Springs and Fuquay-Varina. 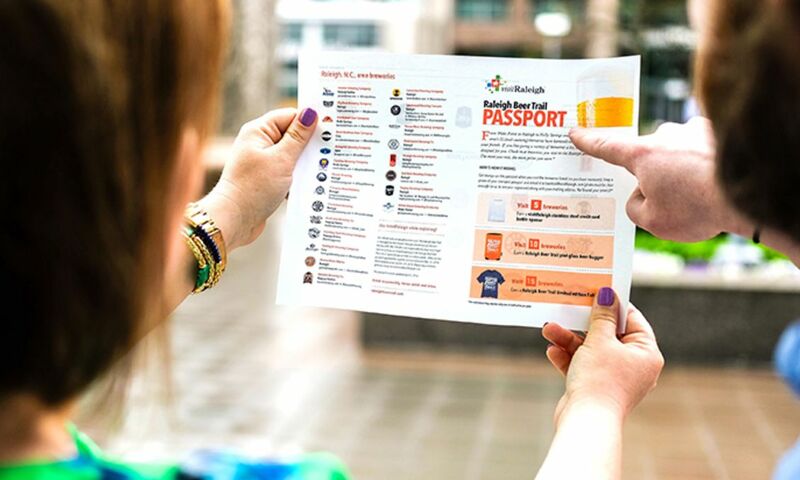 Take your own brewery tour with the Raleigh Beer Trail. 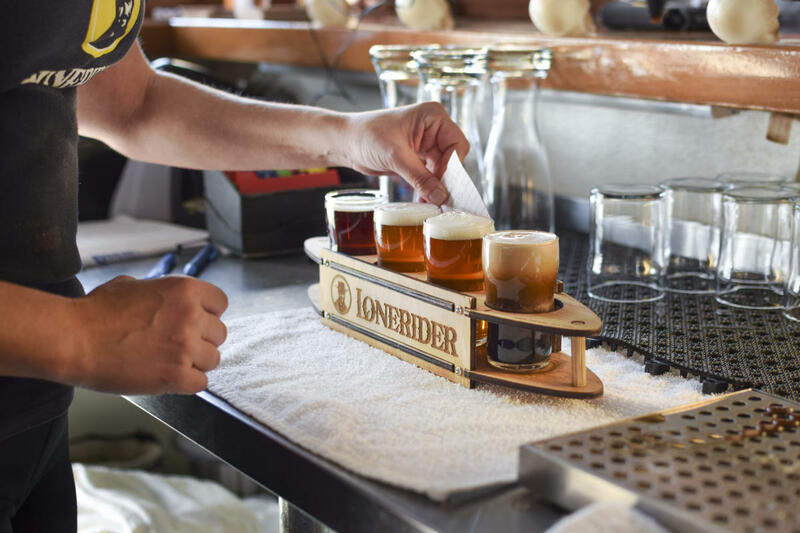 Many of the breweries will provide free tours to visitors so you can learn the difference between beers like porters and dopplelbocks and sound like the beer connoisseur you plan to be for the future. 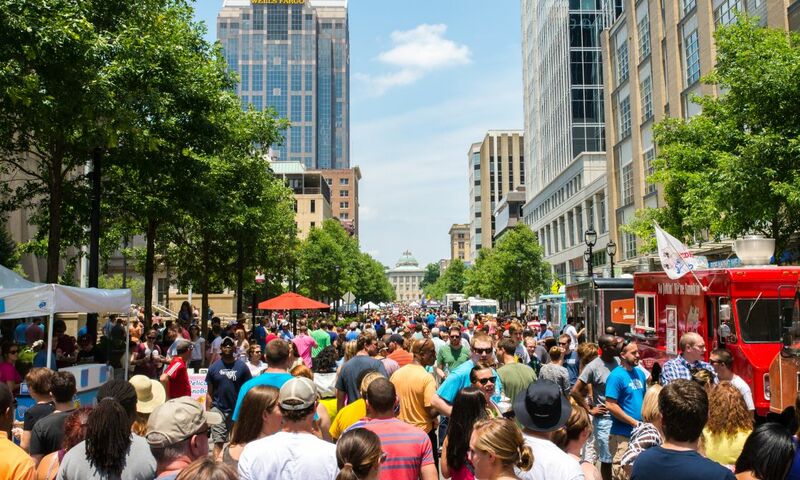 Visit downtown Raleigh on a First Friday to see the cutting edge cultural hot spots that stay open late and welcome art-seeking enthusiasts. One of Raleigh&apos;s passionate minds, Linda Dallas, displays her watercolor paintings and creates interactive workshops for visitors at her gallery, Linda Dallas&apos;s Art Studio. 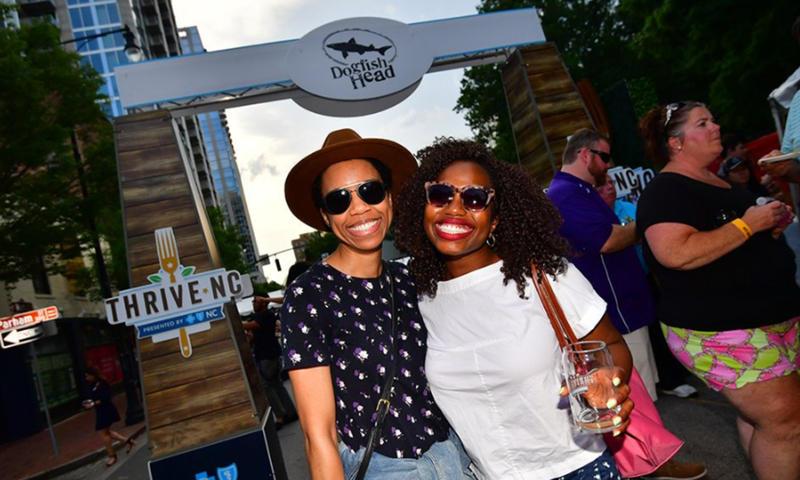 With more than 350 beers on tap, the Raleigh Beer Garden has the world&apos;s largest beer selection, made official when representatives from Guinness World Records visited in 2015. 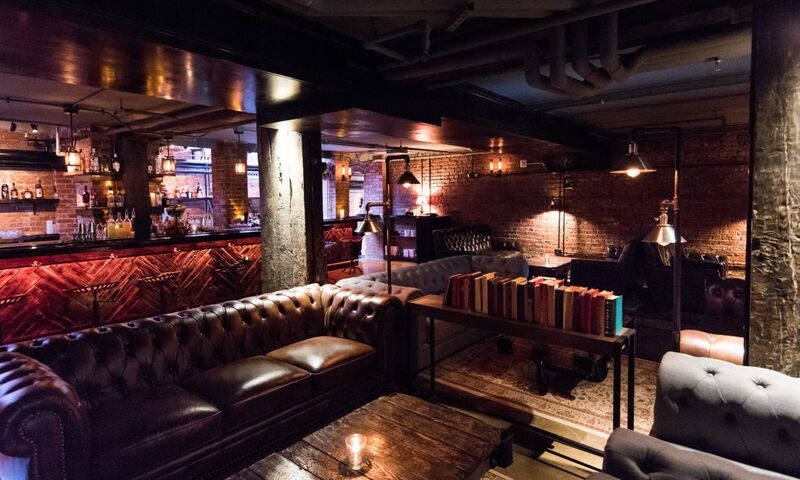 Located in downtown Raleigh&apos;s Glenwood South entertainment district, the venue has plenty of outdoor space, including a rooftop "garden" with seating that makes it the perfect warm-weather hangout. 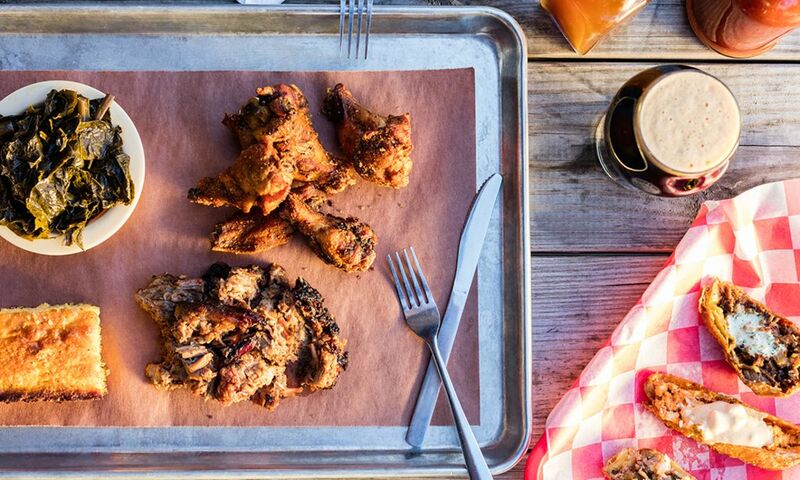 And this beer garden does more than just beer—a full dining menu includes everything from handcrafted pizzas to cheese and charcuterie plates. Visitors have been attending the Raleigh Flea Market every weekend since 1971. More than 600 vendors go out Sat. and Sun. from 9am-6pm to showcase everything from antiques and collectibles to handcrafts, furniture, homemade goodies, clothing, jewelry and more. The most live music in N.C.
Raleigh has the most concert dates, venues, bands and genres that any music fan can hope to find. 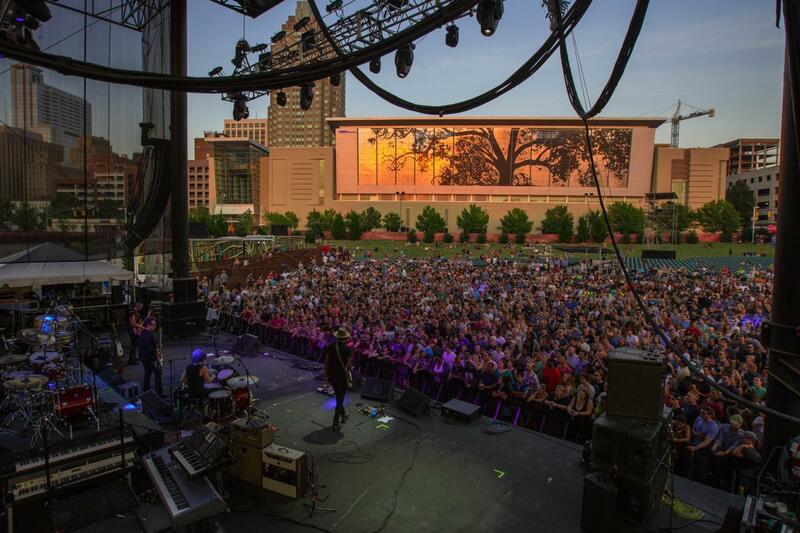 Visitors can find a show every day of the year at the large scale arenas, such as Coastal Credit Union Music Park at Walnut Creek and Red Hat Amphitheater, or at smaller or mid-sized concert halls such as KINGS or The Pour House Music Hall. See the always-updated calendar here. From edge-of-your seat North Carolina State University football and Carolina Hurricanes NHL hockey to minor-league baseball with the Carolina Mudcats and Cary&apos;s North Carolina Football Club men&apos;s and North Carolina Courage women&apos;s professional soccer teams, the area is a big-time sports destination. 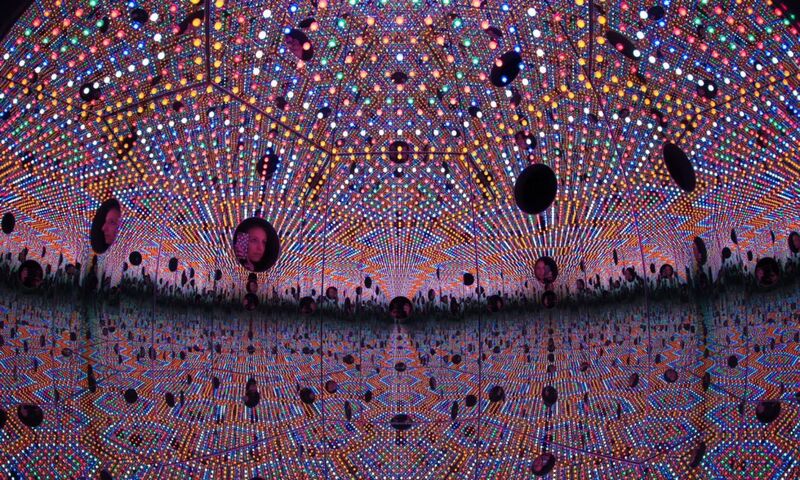 A visual art center inspiring innovation through opportunities to experience the creative process and engage with artists. Artspace offers a dynamic studio environment of professional artists, innovative exhibitions and art education programs. Visitors can meet inspiring artists, purchase original artwork or take a class. This progressive museum curates the most contemporary works of art and design possible—those still emerging, growing and living. Get inspired by the architecture, art and exceptional service. Exhibitions change throughout the year and the museum is free to the open public on First Fridays. Housed in a historic former hardware store, the museum is dedicated to preserving and interpreting the history of N.C.&apos;s capital city while envisioning its future. The museum curates temporary and permanent exhibits about the city&apos;s people, places and resources. You&apos;ll find a collection of approximately 5,000 artifacts and educational programming and tours. Known as the "People&apos;s House," the home of the Governor, the Victorian-style mansion was built completely from N.C. materials in 1891 and was once recognized for having "the most beautiful governor&apos;s residence interior in America" by F.D.R. Tours are available when reservations are made in advance. . Visitors flock to Raleigh during the month of Oct. to be one of the million attendees of the 11-day N.C. State Fair. The state&apos;s largest event features livestock, agricultural, arts and cultural exhibits, amusement midway and nightly musical performances. 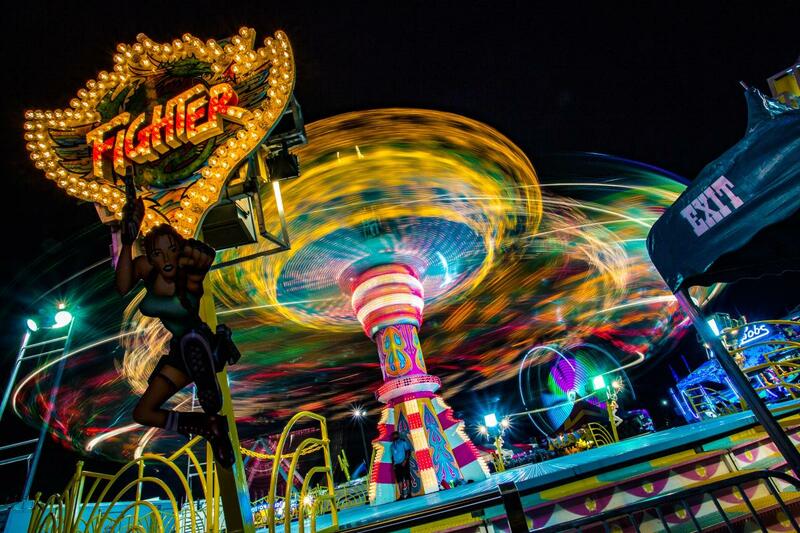 The fair signals the end of each night with a spectacular fireworks show, a tradition that goes back to the 1950s. Raleigh is home to a growing food truck scene, and you can get a taste of a variety of fare, literally anywhere. Food truck rodeos are held throughout the year, so all the food trucks can pack into one location offering something for everyone. Those that want an adventure can chase down the grub by following the locations of the trucks, usually updated on their websites or Twitter feeds. Shop local! Many Raleigh-based brands are located in the heart of the City of Oaks. For unique t-shirts, bags, koozies and more, House of Swank Clothing Company is creating fun designs with a nod to Raleigh and N.C. Need ideas on the spot? Pam Blondin’s DECO Raleigh is an excellent gift shop featuring all sorts of handmade cards, crafts, home decor and more. Finally, try on a perfect fitting pair of locally made jeans at Raleigh Denim Workshop. Discover an eclectic mix of 130-plus local shops, restaurants, bars and hotels in this outdoor shopping haven. Known for it&apos;s upscale finds, and also friendly for the entire family, you&apos;ll find it easy to spend a day browsing the racks of designer clothes at Gena Chandler or Vermillion, shopping for china and crystal at Quintessentials and picking out monogrammed stationary at Paperbuzz. 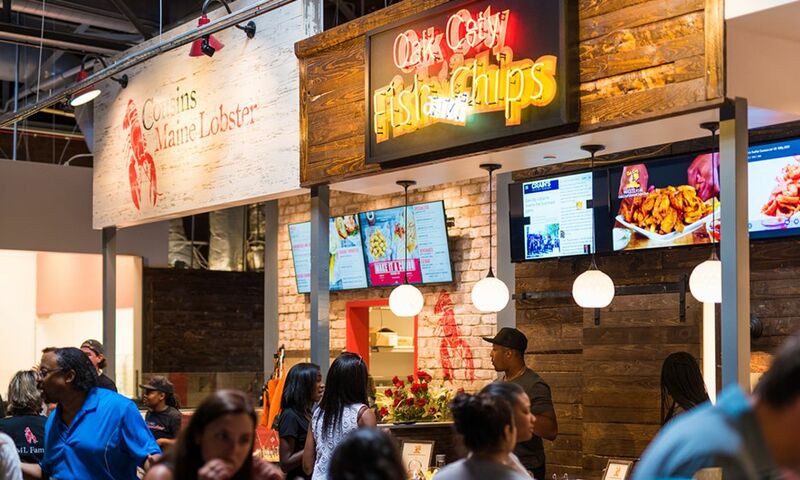 After (or in between) shopping stops, grab some food and a handcrafted brew at local favorites like The Cowfish at North Hills, Vivace or Yard House.